"The whole process was a breeze. The imprints came out great and the key chains were a hit at our booth"
"Fast shipping and the keychain is working great at promoting safety out in the field." 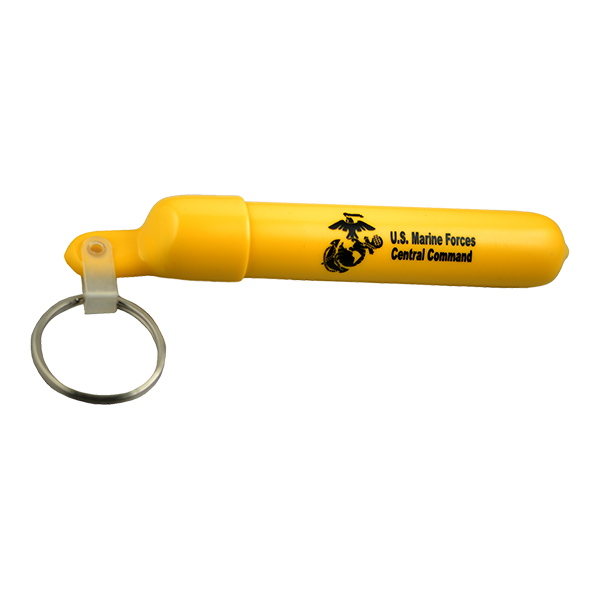 Designated as the "Best Practice" product by the Safety Center of the U.S. Armed Forces, this keychain breathalyzer is the newest trend to fight against drunk driving. 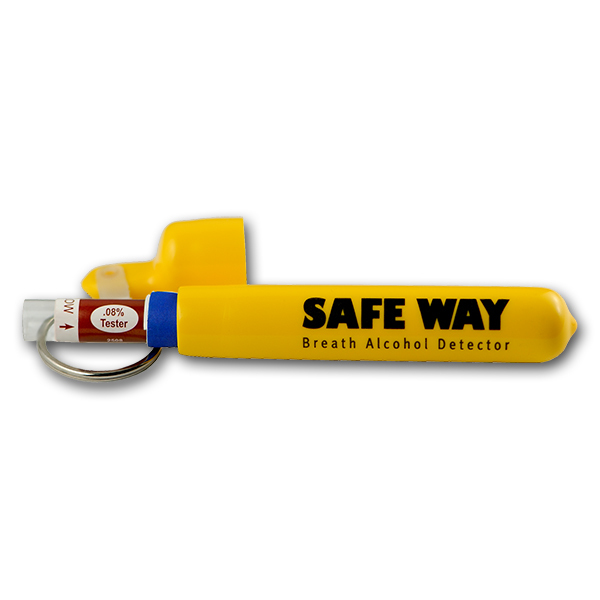 SafeWay Keychain Breathalyzer is a reusable keychain holder for the SafeWay Disposable alcohol detector that indicates if the user has exceeded a recommended level for blood alcohol content (BAC). This level can range from .02% BAC when a zero tolerance is enforces to .08% BAC for the US legal limit set by the federal government. 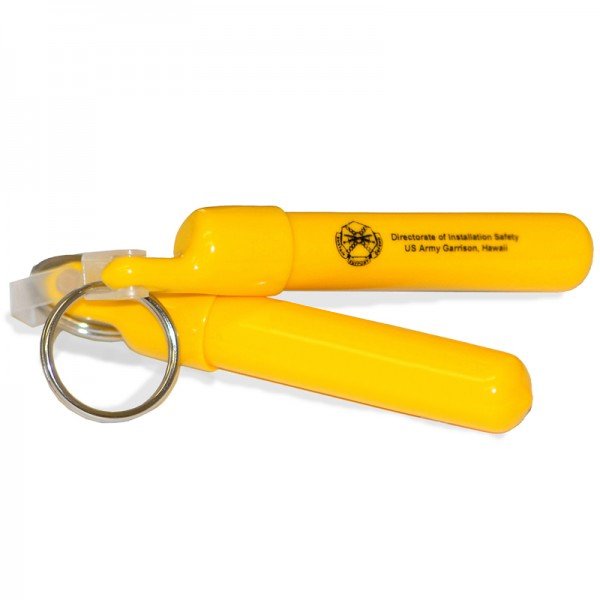 This innovative alcohol testing device is packaged in a convenient yellow keychain so you can carry it with you everywhere. If another persons sobriety is in question,SafeWay will help you take control of the situation and potentially save a life. SafeWay is a small, plastic vial containing a color-changing powder. When an intoxicated person blows into one end of the vial, the powder turns blue/green to indicate that the persons BAC is in excess of 0.08%. Acclaimed throughout the US for its accuracy, SafeWay disposable is the newest trend in personal alcohol detectors, compact and ingeniously designed to be carried on a keychain. Cautiously engineered to indicate the amount of alcohol in the body, this 100% water proof non-perishable life saving device is designed to aid you in trying to prevent intoxicated persons from getting behind the wheel. Show & tell! Get their keys, use Legal Limit and show them why they should not drive. This breathalyzer tells it like it is and may save a life. Or 2 or 3! Prevent alcohol-related fatalities and injuries! Over 17,000 people die annually in alcohol-related accidents. Drunk driving costs the U.S. over $50 billion annually. Virtually everyone has been touched in some way by drunk driving whether it was a friend with a DUI conviction or a loved one killed by a drunk driver. The public awareness of "Don't Drink and Drive!" requires the involvement of everyone from community services, public safety and private sectors, fund raising associations as well as each one of us personally (because we are all affected in one way or another). The SafeWay keychain breathalyzer has been developed to help people become actively involved in reducing fatalities and injuries caused by driving under the influence (dui). SafeWay is a proactive and innovative safety concept that can help make our life a bit safer. 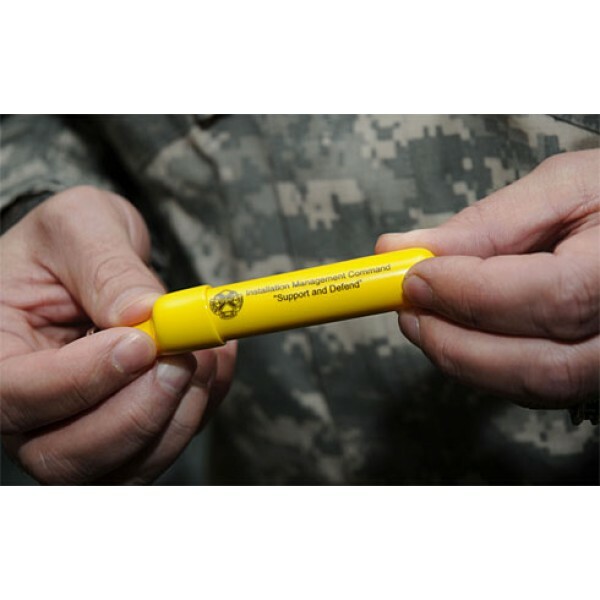 SafeWay LegalLimit, is designated as a `best practice' product by the safety center of the US Army and US NAVY. It is also handed out by elected officials during alcohol awareness campaigns throughout the United States.